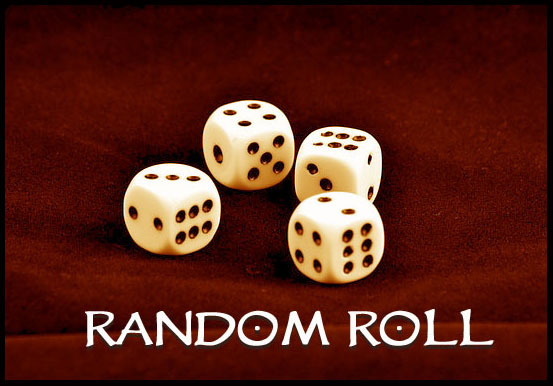 As we take a look at this week’s random rolls we find a half-orc whose never had a homeland of his own. His parents never bore a second child and eventually died themselves. He was also bullied all his life, possibly for his advanced intellect. A large – although not strong – man he he has seen the most influence in his life from a liege lord. So what do we do with this unfortunate half-orc? Parents:Both of your parents are dead. Major Childhood Event:[Bullied] In your early life, you were a victim— easy prey for those stronger or cleverer than yourself. They beat you when they could, using you for their sport. This abuse nursed a powerful flame of vengeance. Influential Associate:[The Liege Lord] You became close with someone you were bound to serve, be it a minor lord or lady, master (in the case of a slave), prince or princess, king or queen. Though this person held power over you, she held you closer than a subject or servant. As a result, you're used to dealing with and being close to power, and your name is known among the ranks of the privileged. Conflict: [Seducer] You tempted or manipulated someone to act in accordance with your whim, careless of whether it was in their own best interests. Romantic Relationship(s):[Experience but No Substantial Relationships] You’ve had a fling or two, but have so far shied away from any ties or commitments. Drawback:[Family] Your family means everything to you, and there is nothing you wouldn’t do for them. Maybe your ties extend to your entire clan or bloodline, or perhaps there is one specific member of your family you hold closer than any other. In the comments tell us how you would flesh out this character? What class would half-orc gravitate toward? How has he faced so much sorrow but managed to stay good and true? Why does he follow a dwarven god? If he has no homeland where is he from? And don’t forget to stay tuned Friday when my background hits the CRB.